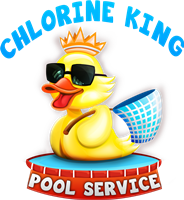 YouTube Channel - Chlorine King Pool Service - Pinellas County, FL. Watching our YouTube channel you'll find some helpful tips, product reviews and thought provoking questions about your pool. Please let us know if you have any questions. Enjoy!